These low carb hazelnut creams are filling, nutty, creamy, and delicious! 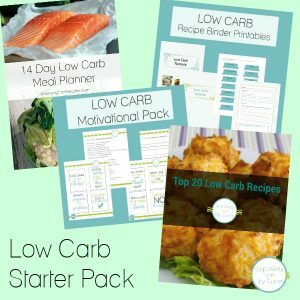 Sugar free, LCHF, and keto recipe. The following post contains affiliate links, which means that at no extra cost to you I can make a tiny bit of money to help support this blog. Thank you!. 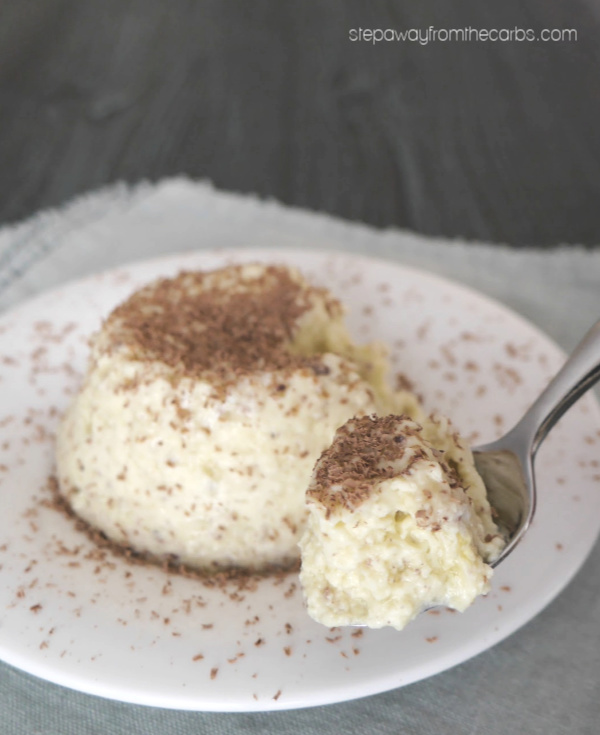 I love hazelnut meal and it works perfectly in this gorgeous low carb dessert recipe. It’s not about bold punchy flavors; the finished dish is subtle, and very creamy! 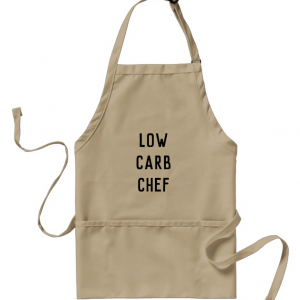 If you’re following a low carb high fat diet, this recipe is particularly suitable for you! In a stand mixer, whisk two eggs until smooth, then add heavy cream, vanilla extract and low carb sweetener. 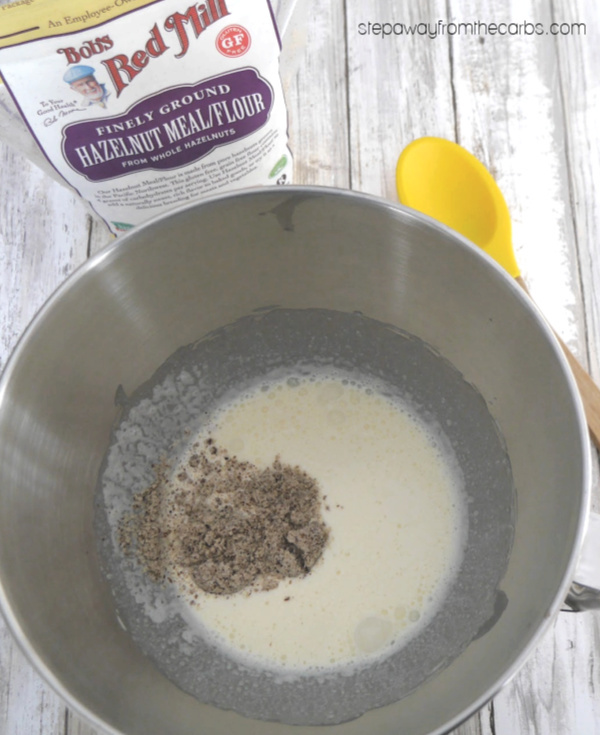 Stir in the hazelnut meal. 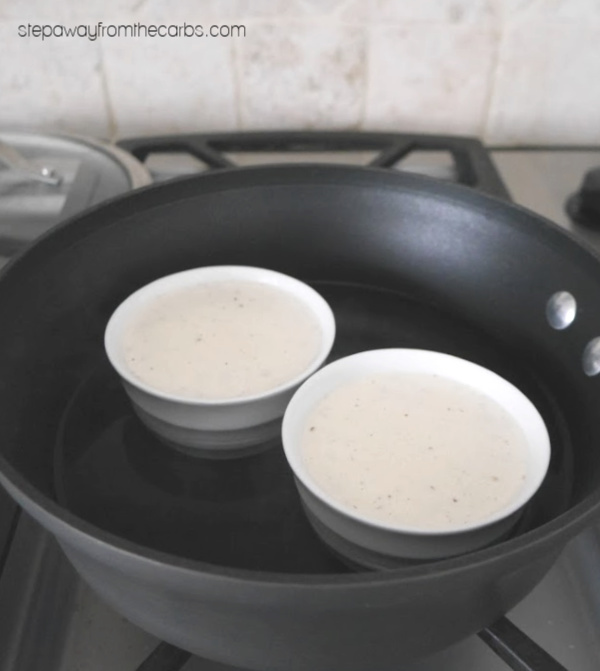 Pour the mixture into two ramekins and place them in a deep-sided pan. Add boiling water to the pan until it comes to half way up the sides of the ramekins. Place a lid over the pan and cook at a low simmer for 30-40 minutes until the hazelnut creams have set. Don’t heat them too quickly otherwise the mixture might curdle! When cooked, remove the ramekins from the water and leave to cool. Place in the fridge until required. 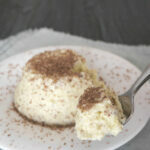 To serve, gently ease a knife around the edges of the ramekin and then turn out the hazelnut cream onto a small plate. These hazelnut creams are really quite filling, but not particularly sweet. 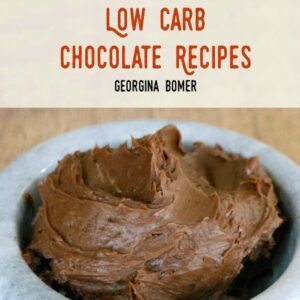 I like to grate a tiny bit of low carb chocolate (like Lily’s!) over the top of them to add to the flavor balance. In a stand mixer, whisk the egg until smooth, then add the cream, sweetener and vanilla. Add the hazelnut meal and stir well. Pour the cream mixture into two ramekins. Place them in a deep sided pan, and pour boiling water into the pan until it comes half way up the ramekins. Cover the pan and simmer for 30-40 minutes until the mixture has set. Remove the ramekins from the pan, leave to cool, then place in the fridge. 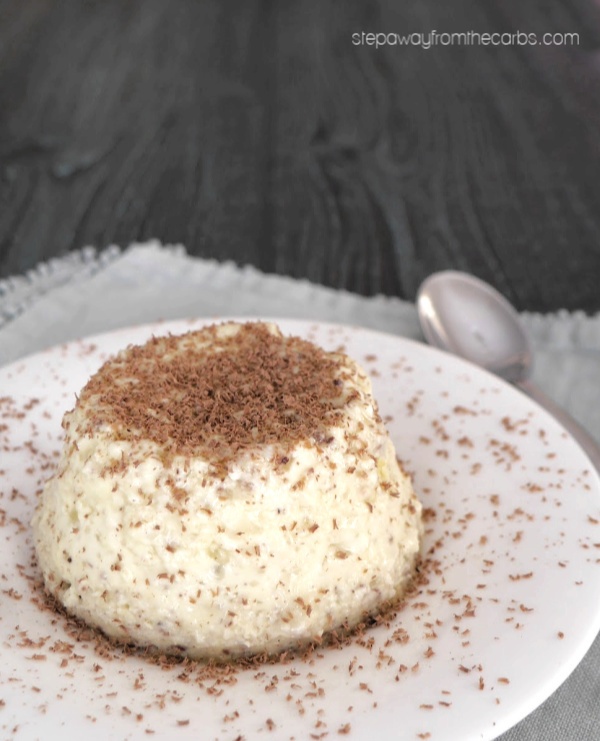 To serve, use a knife to ease the hazelnut creams out of the ramekins and onto a plate. Grate some dark chocolate over the top if desired. 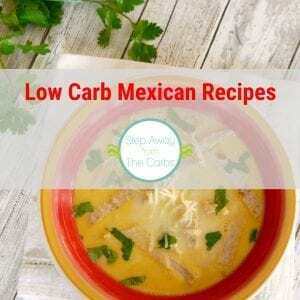 Recipe adapted from The Low Carb Long Term Lifestyle by Carolyn Humphries.